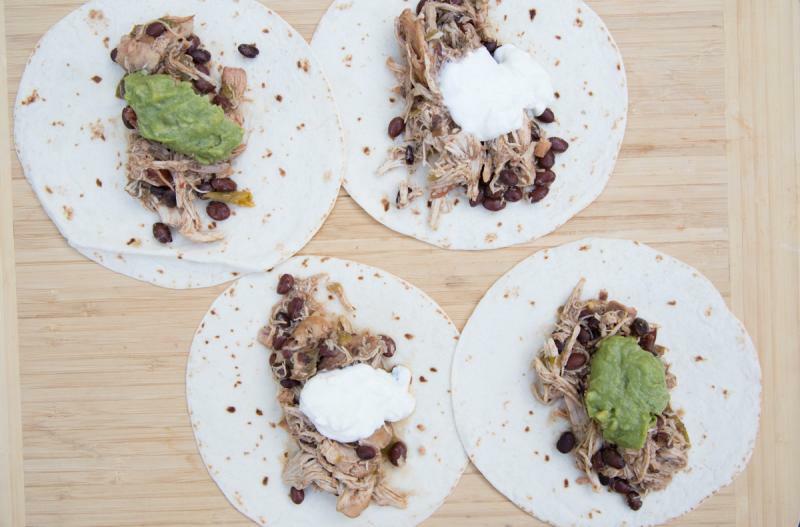 Spice up your regular chicken taco dinner with this recipe! Place the chicken breasts and chicken thighs into the electric pressure cooker insert with the hot water. Add the mango nectar, ground cumin, salsa, drained black beans, green chiles, salt and pepper on top of the chicken. Once finished cooking, shred the chicken with 2 forks and mix into the sauce with the black beans. Serve Instant Pot Spicy Mango Chicken Tacos with avocado. Thaw, add hot water to Instant Pot and then add contents of baggie. Cook on high pressure for 15 minutes with sealed valve; then natural release. Once cooked, shred the chicken with 2 forks and serve in flour tortillas.